It has been a busy month at Salesforce office. After a successful Dreamforce, it is time to have a look at some of the top Salesforce Winter ’19 Release Notes. 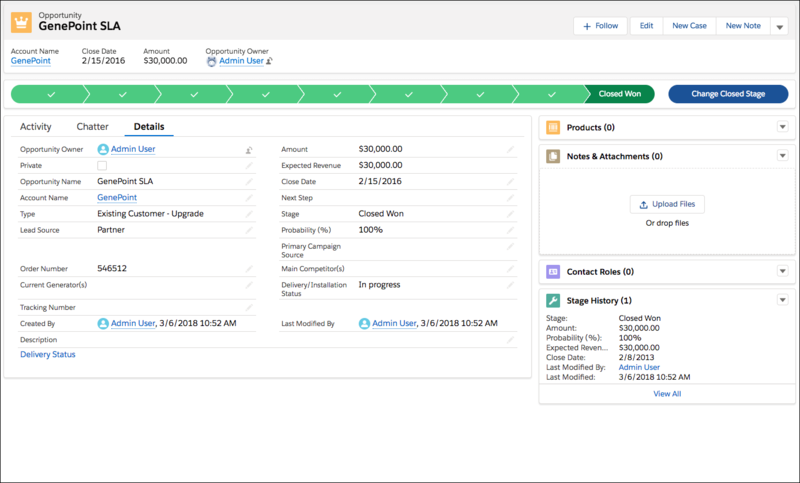 The Winter ’19 release offers more connected customer experiences with a lot of new features which will help companies drive enduring customer relationships. Salesforce has taken notable initiatives to encourage users to transition to Lightning Experience. Now users can personalize their view in Lightning Experience with display density controls. Display density controls offer you more control over how you want to view data without making any changes in the page layout. Users can now choose their own display density at any time from the user profile menu. It’s time to bid adieu to those time consuming and tiring content copying and pasting. Users can hasten their communication with predefined text messages in emails, tasks, events, and chats. You can use a keyboard shortcut, a button in rich-text editor toolbars, like for email publishers, or a popup button next to supported text fields. Salesforce has added a few other features like the option for assigning a new owner to multiple leads, cases, and custom objects at one time, the new search bar to search the field data in your list views and find the records you need in record time, seamless collaboration by sharing your list views with user groups in your Org, unsaved data recovery after session timeouts, field history data retention and much more. Lightning Essentials got some amazing new features too. Now you can stay in the app to celebrate, set up, and subscribe to Salesforce Essentials with in-app Trailhead badging. 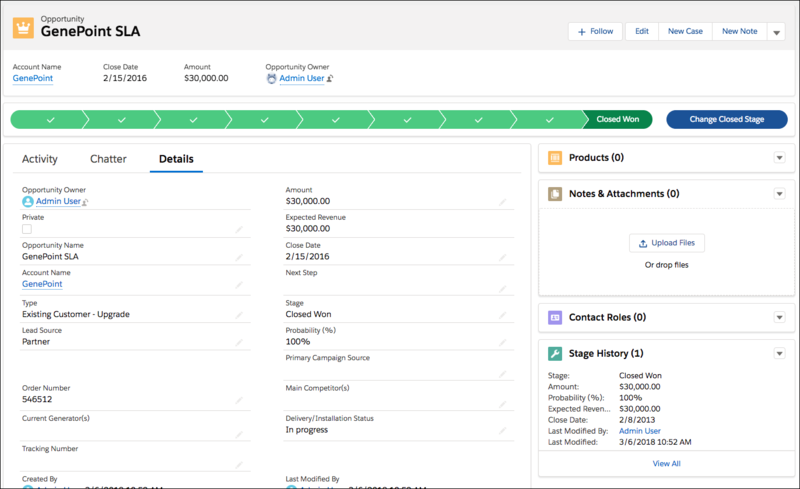 Users can now tackle more tasks with improved setup flows for deleting sample data and adding custom fields in Sales Essentials. In Service Essentials, you can now create a self-service help center and use CTI to let agents make calls from their computers with the help of a softphone. Just like Lightning Experience, Salesforce Einstein also got improvements and new features including Einstein Forecasting, Activity Capture, Bots, and Analytics that offer higher flexibility, faster setup, and more insights. When it comes to Sales, Einstein now uses user custom opportunity fields to provide more accurate and insightful forecast predictions. You can now customize email insights to fit your business requirements. Sales executives can now use these insights to connect with new prospects. Einstein Insights are now available on the go! Sales executives can stay informed with important updates, and take action directly from the insights, including editing the related record or sending emails. Similarly when it comes to Service, now users can supercharge their Bot with autolaunched flows. You can now call auto-launched flows from your bot dialogs, open a case, update a contact, or trigger a journey, right in the chat conversation. All Einstein Bot versions now share a single bot intent set. To add customer inputs, you previously had to update the intents for each bot version. Now with unified intents, each bot version learns from the unified intent set. With the new literal matching, your Einstein bot looks for an exact match for what the customer types in chat. If the bot finds the precise customer input in a dialog intent, it launches the corresponding dialog. Einstein Discovery is now fully integrated into Einstein Analytics. Now users can create stories from Analytics datasets, and navigate stories, investigate insights, visualize data, and discover predictions—all within the familiar Einstein Analytics interface. 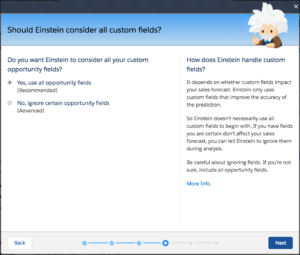 Introduction of custom fields in Einstein Forecasting makes Salesforce more intelligent. Now companies can measure sales performance with territory based quotas and forecasts. Emails can now be integrated with Microsoft® and Google. Now you can develop recurring relationships with your customers with CPQ Evergreen Subscriptions. Pardot now offers smarter marketing automation in Lightning Experience. Winter ’19 releases will take your customer service to the next level. LiveMessage in the Lightning Experience will allow you to engage with your customers on top messaging channels like Facebook from the Lightning Service Console. Small business can avail the help of Help Centers now. In Lightning Flow for Service, you can view completed steps in the Guided Action History and alert agents to required steps and share dispatching responsibility with your field service contractors by giving them access to the dispatcher console from a community. Health Cloud now supports seamless collaboration among healthcare service providers and payers. Service providers can now submit and track requests for authorization, and payers can process requests to ensure patients get the right care at the right time. New Lightning components have been added to make it easier to develop custom record pages. Now users can add their Salesforce IoT data to any page in Salesforce with the new IoT insights Lightning component. The IoT Insights Lightning standard component enhances your CRM data by showing Salesforce IoT information. New troubleshooting features allow you to send event messages inside the app and view the messages as they are received. You can now use Event Viewer early in the process of creating contexts to verify that your event messages are being sent to the right context or to troubleshoot problems. To learn more about the Winter’19 release and how you can leverage these features, get in touch with our Salesforce experts.